Do you like making and taking casseroles to events and get togethers? 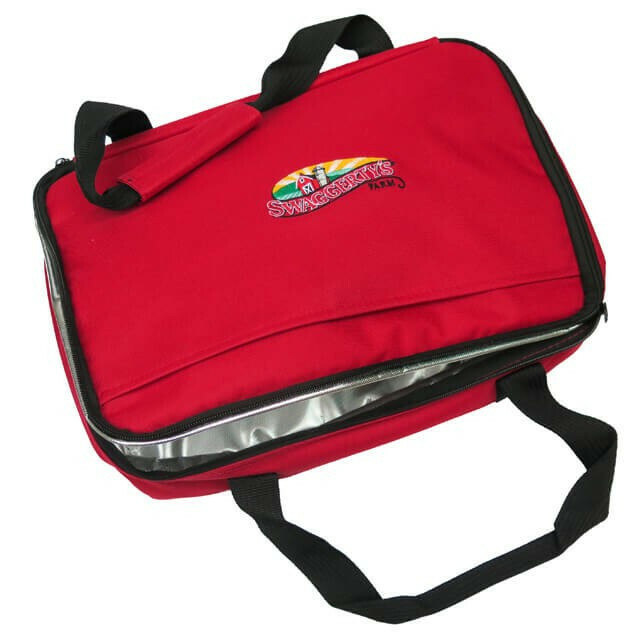 If so, you're gonna love this insulated casserole carrier made by Koozie®. Get it now, and safely carry your cold and hot creations to your next events! Swaggerty's logo embroidered on top of bag.